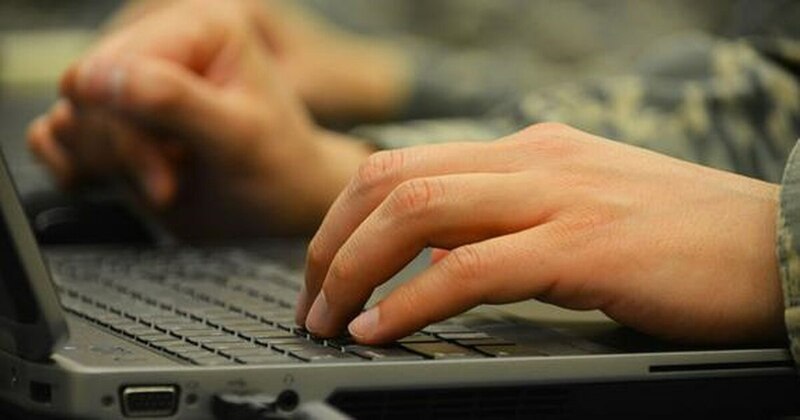 The Army, after an intense public focus on the tactical network, is beginning to set its sights on the enterprise network, specifically enterprise cloud. The Army’s CIO/G-6 office has been working to update its cloud strategy, as the last strategy was published in 2015. One of the reasons for the update, according to Thomas Sasala, director of operations and architecture and chief data officer within the CIO/G6, is a lot has changed in the private sector in terms of new technologies and solutions. Following a deep dive into the tactical network, the Army has begun an analysis of its strategic network. Sasala was presenting the enterprise cloud strategy to members of industry during an Aug. 1 tactical cloud industry day in Raleigh, N.C.
At a top level, Sasala explained the Army is moving toward a hybrid cloud environment, noting no one solution will meet all the requirements. Moreover, there are three computing environments established in the strategy: shared commercial cloud environment off-premises; shared enterprise data center environment; and an “antique” environment, which is what the service is now referring to as its legacy environment. Within that vein, Sasala said the Army has acknowledged there are services they don’t want to bring forward but can’t get rid of right now. DoD solutions, such as milCloud 2.0, will be used for sensitive apps. Key features of the cloud architecture — secure accessible, resilient, survivable, elastic, dynamic, on-demand, AI-ready, automated and self service — are what bridge the enterprise environment to the tactical, Sasala said. Goals and objectives of the cloud strategy listed by the Army include meeting commander’s requirements in a timely manner; increasing survivability, resiliency and security of mission data and services; agile, flexible and responsive IT environment; decrease in total cost of IT enterprise operations in support of the war fighter; fully aligning tactical and non-tactical computing infrastructure to create a seamless environment for users; and reduction of labor intensive manual processes through automation. On the last point, Sasala said the money saved for cloud and shared computers is getting the Army out of the business of what he referred to as mundane IT operations and automating those services to allow operators to get back to operating and administrators doing administrative work as opposed to patching. Regarding the enterprise computing environment, officials noted the Army needs an environment that transforms application hosting and delivery of IT resources for more effective decision-making and mission outcomes; that will host mission systems, applications, services and data, accessible to enterprise and forward-deployed users; that will leverage disruptive technologies, such as machine learning and artificial intelligence and support data analytics for the war fighter; that mitigates capital investments and provides an elastic capability that bridges tactical and non-tactical users.